Glendale California started out as a small suburb of Los Angeles. Glendale is now it’s own city a population of over 200,000 residents. If you’re thinking of traveling to this part of the country Glendale offers affordable hotels like Embassy Suites. If you’re planning a trip to Universal Studios in Hollywood the Embassy Suite hotel has been rated as an affordable hotel on Yelp. If you’re looking for affordable places to stay while attending events in Glendale, California another place worth checking out is Chariot Inn Motel. When you’re in Glendale you should check out Street Food Cinema if you’re into old movie, family fun, and picnics on the grass then the place was made for you. The food is amazing and the service is exceptional. There are a couple bowling alleys in the area that are both worth mentioning. Montrose Bowl and Jewel City Bowl are family fun places to celebrate parties and events. I’ve never heard anyone say anything negative about either of these venues. There is also a wonderful venue worth mentioning, We Rock The Spectrum Glendale where children with disabilities can enjoy the company of one another in a safe atmosphere. This kid’s gym has open play area and a wonderful staff that are very well versed in how to manage beautiful children that are on the spectrum. If you are a resident of Glendale or the surrounding cities of Glendale Cali MGM Banquet offers fantastic event management and event planning services. 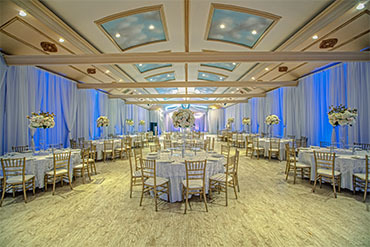 MGM Banquet Hall is a professional establishment and we are known for our unforgettable wedding celebrations as well as our Quinceanera birthday parties. If you are looking to celebrate or plan any type of events we can help with the most complex plans.